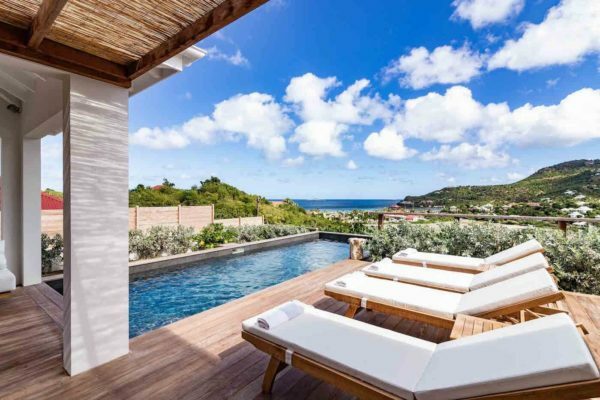 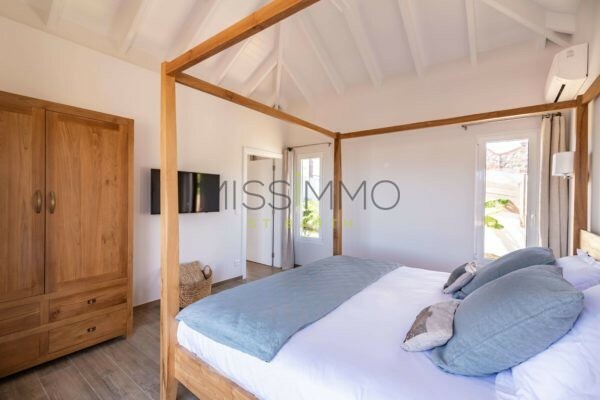 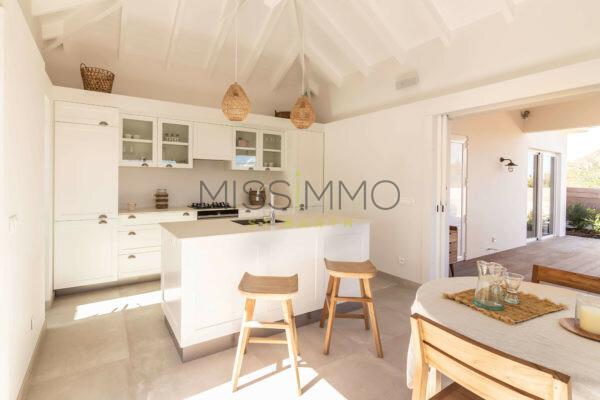 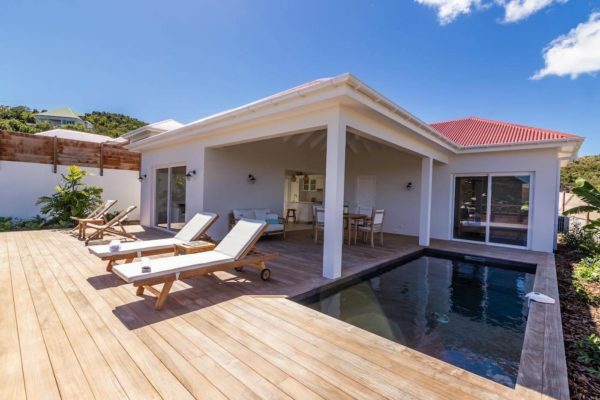 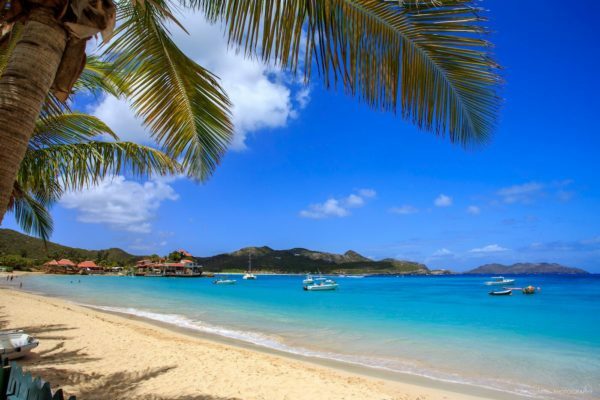 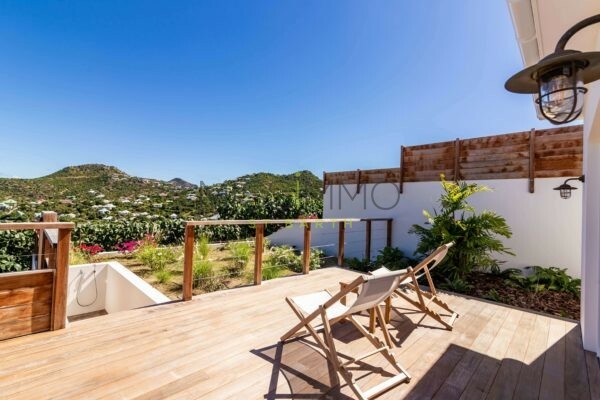 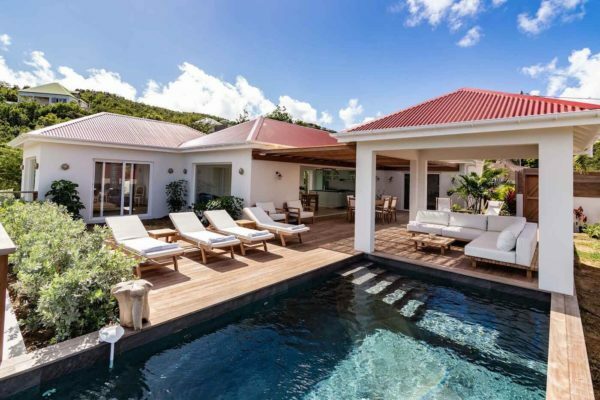 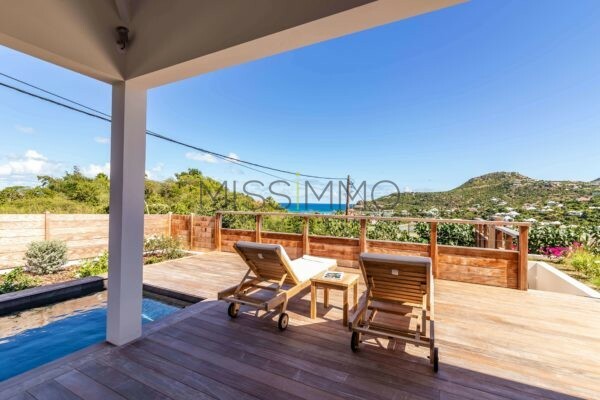 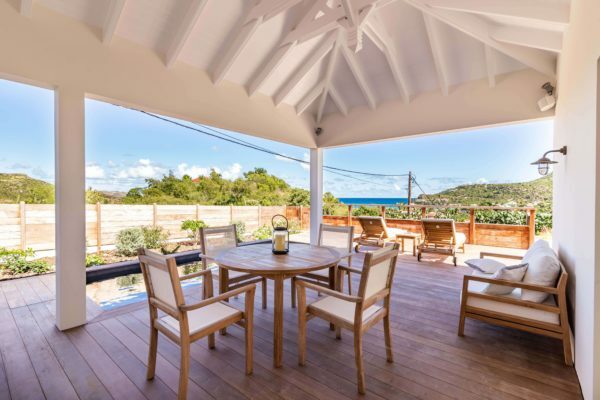 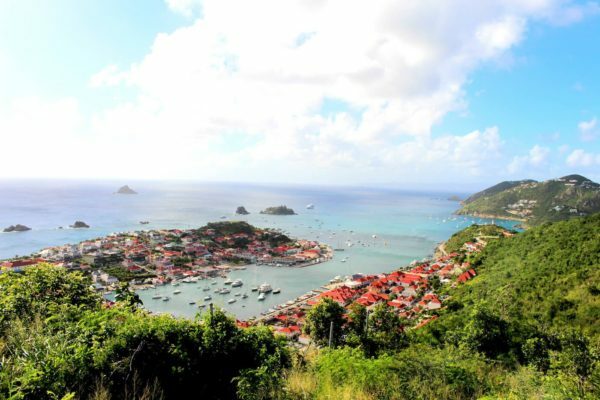 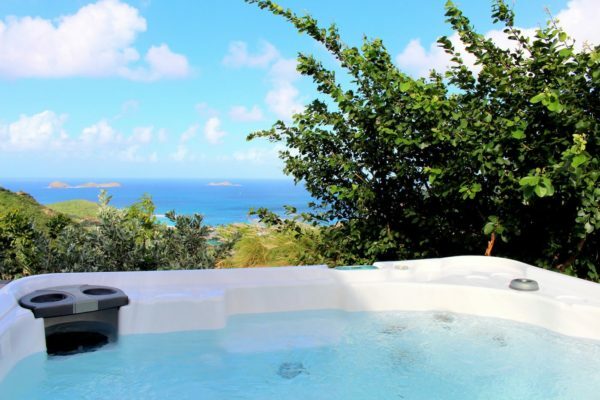 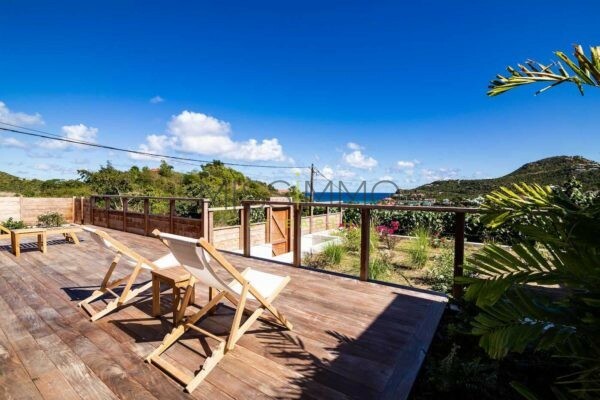 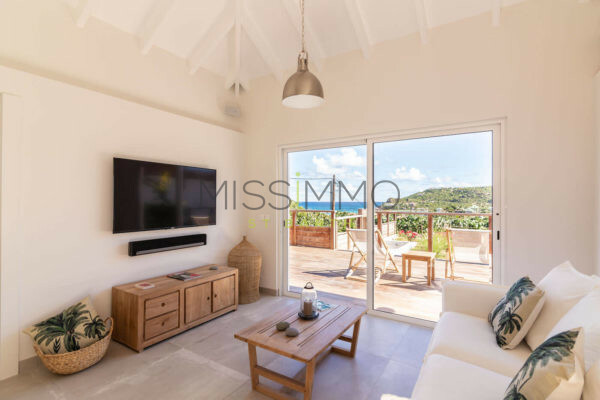 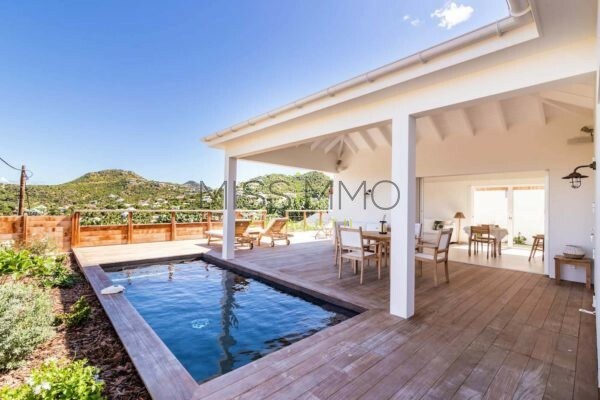 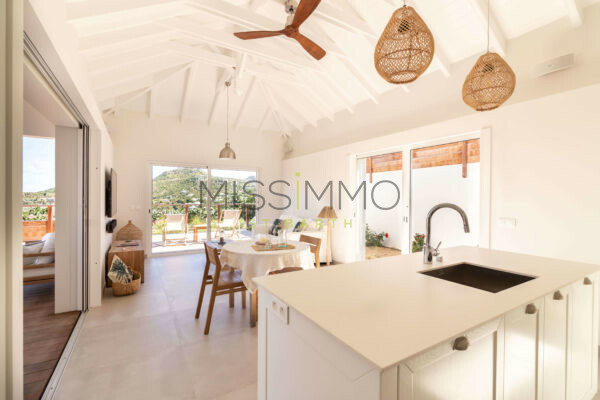 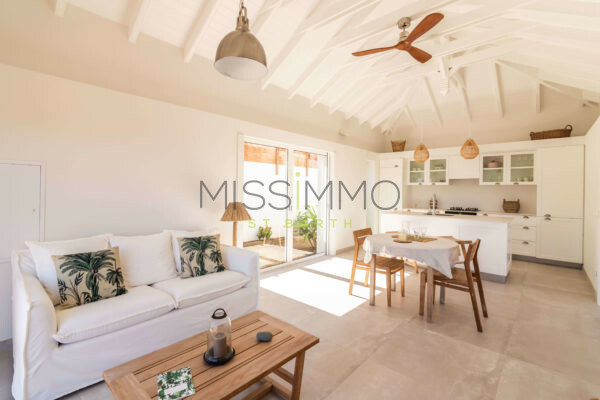 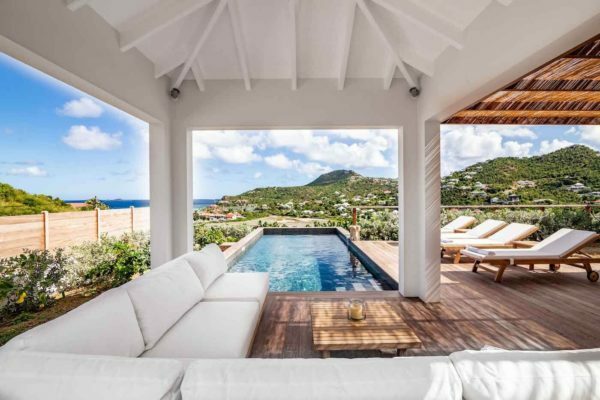 This newly built 1 bedroom villa offers nice views just a short distance from the beach. 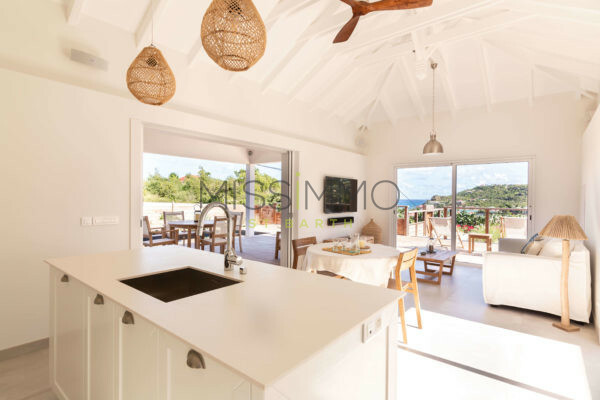 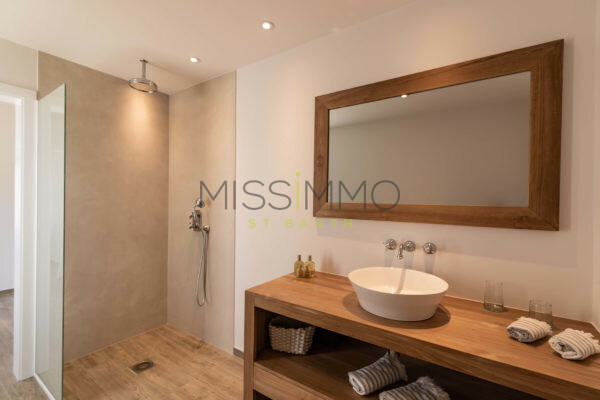 Below its sister villa AU PAILLE EN QUEUE (2 bedrooms), the villa is contemporary with natural tons, for a light and relaxing stay. 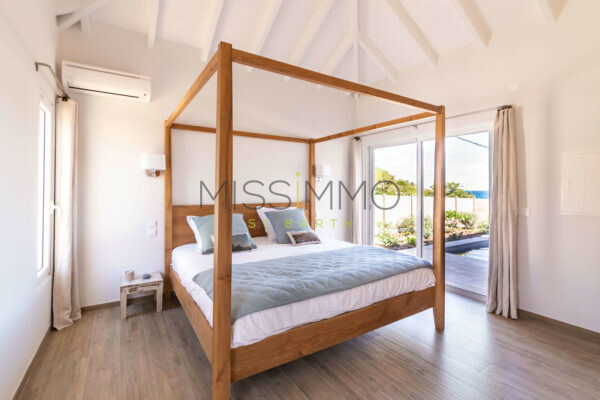 There is also a small space with a single bed that can sleep a child, making this villa perfect for a family of 3. 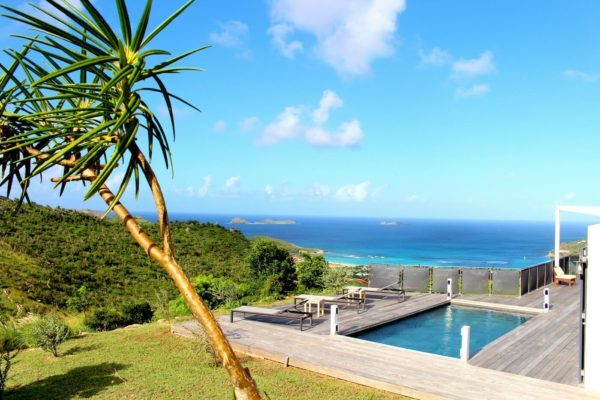 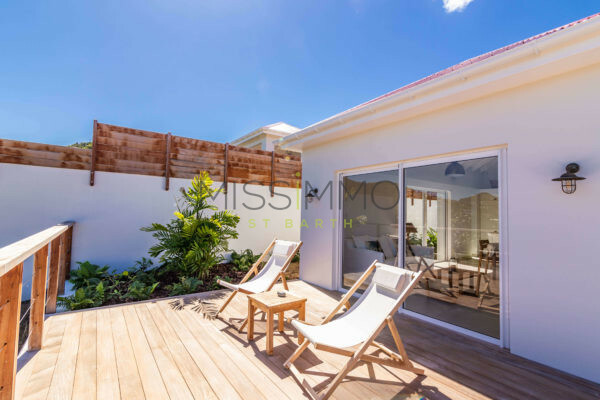 Pool – Loungers – Dining table for 4 guests – BBQ – Outdoor shower. 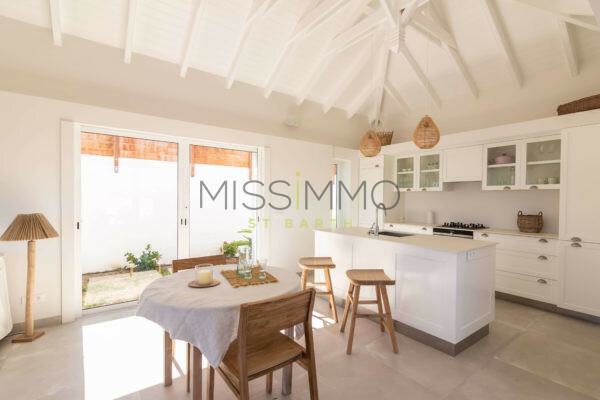 Equipped for 4 guests: Fridge – Freezer – Oven – Gas Stove – Dishwasher – Dining table for 2 guests. 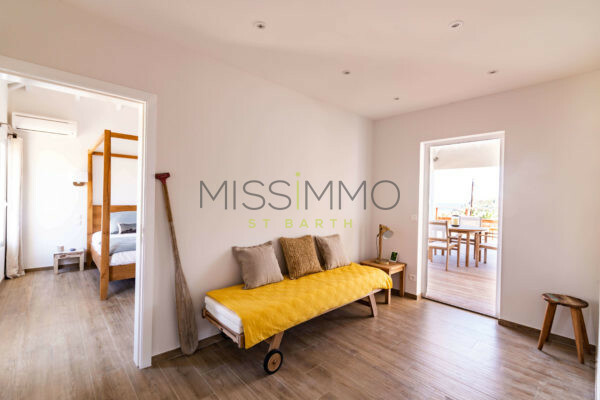 Air conditioning – Euro King Size Bed – Dressing Space – TV – Bathroom with shower.